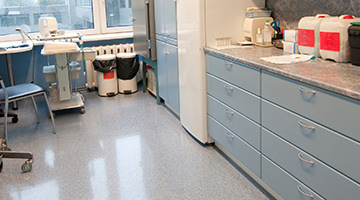 Medical clinics, like hospitals, present some of the most challenging flooring environments in the healthcare industry. Although they may not have patient rooms, clinics see hundreds of outpatients with varying needs day in and day out. From dermatology and pathology, to urology, pediatrics and more, ambulatory care clinics require uniquely formulated commercial flooring to meet health and safety standards. Florock offers a wide array of flooring options that support evidence-based design (EBD) guidelines for even the busiest and most specialized medical clinics. Engineered to meet the strict health industry sanitation and hygiene standards, our flooring systems for clinics can help facility managers reduce overall costs, while continuing to provide a safe and hygienic environment for both patients and staff. With hundreds of epoxy floor covering and other resinous formulations — and the ability to customize for added performance and needs — our floor coatings for clinics offer a multitude of benefits. In addition to promoting air quality and sanitary standards, our flooring systems are specially designed to safeguard personnel and patients for maximum comfort and a positive experience. In addition to meeting the high standards required of medical clinics, our flooring solutions give you the flexibility to create a custom look that will match any existing environment, contributing to a healing, peaceful environment. Our seamless floors are color stable, non-yellowing and non-shrinking. Because there are no heat-welded seams, there is little risk of cracks and curling over time. Creating a sanitary and welcoming environment for your medical clinic is crucial to the overall satisfaction of your staff and your patients. It can also promote the healing process and positive patient outcomes. Florock’s epoxy floor systems are specifically designed to meet the challenges of clinic floors while providing exceptional value. Easy maintenance and durability make Florock polymer flooring coatings the best solution for healthcare flooring. 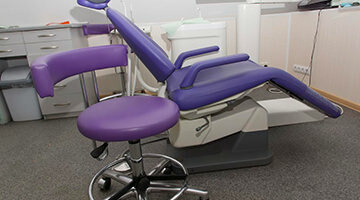 Contact us to discuss your clinic floor needs with a knowledgeable flooring specialist.